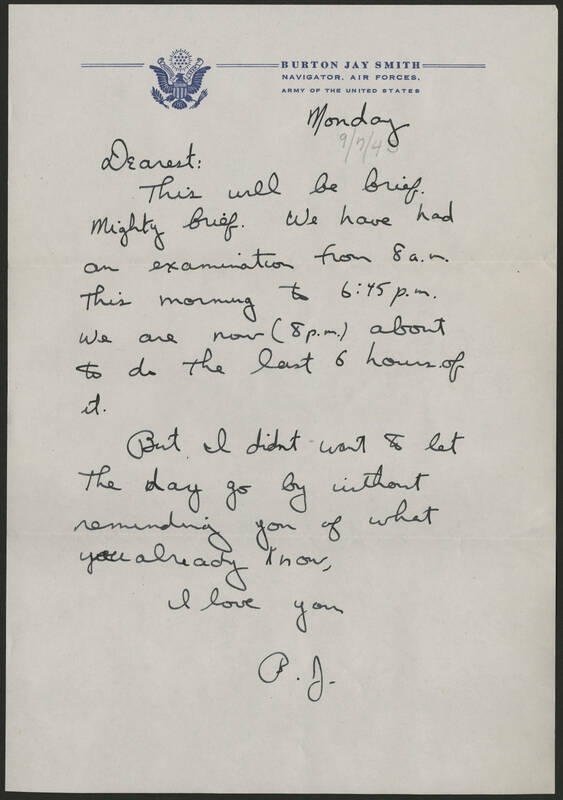 Monday 9/7/43 Dearest: This will be brief. Mighty brief. We have had an examination from 8 a.m. this morning to 6:45 p.m. We are now (8 p.m.) about to do the last 6 hours of it. But I didn't want to let the day go by without reminding you of what you already know, I love you B.J.